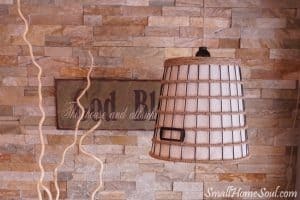 Thrifted Swing Arm Lamp - Easy Decor Update - Girl, Just DIY! 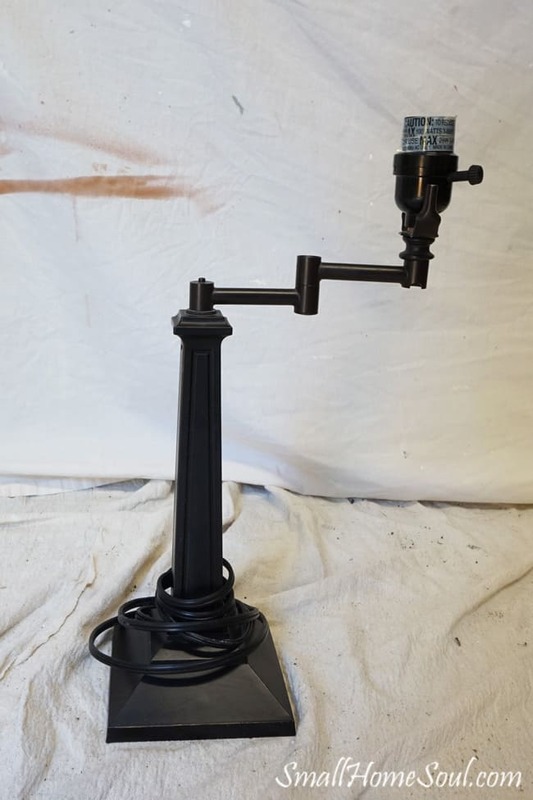 Hey friends, I scored a beautiful swing arm lamp last week on FaceBook (yes FaceBook) and I wanted to share it with you today. If you’ve never heard there are many “buy/sell” or “Treasure” groups on Facebook created by individuals in communities as a way to buy and sell items. You can buy anything from baby clothes to tools to cars, yes cars. Oh, and I even helped my daughter rent her Condo through a post in one of the Treasure groups in our area. Just ask your friends if they’re part of any of these groups and get signed up. Be careful, it’s kind of addicting. So back to my swing arm lamp story. I saw this post in one of my Treasure groups (yes, I belong to quite a few) and one person had already indicated they were interested in it (it’s a first comment first chance system) but I indicated that I was interested “next” and when the first person passed I got it. The seller sent me her address via a Private Message and I went to her house, left $2 under her mat and away I went. 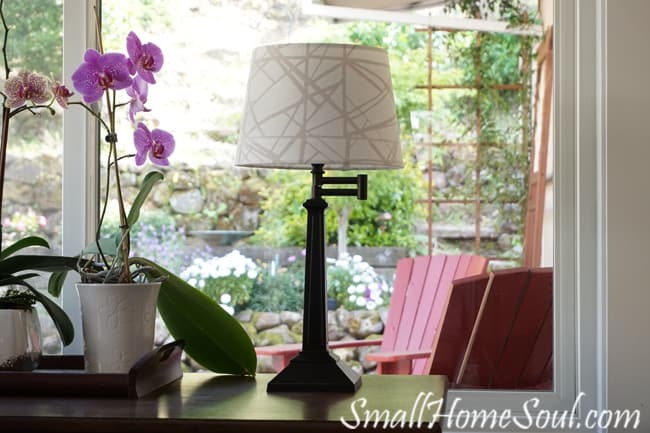 I keep talking about this swing arm lamp but if you aren’t sure what a swing arm lamp is check out the two pictures below. The top of the lamp swings out to move the light into a different area. I was on my way to Target so I took the lamp in with me so I could “try on” some shades. 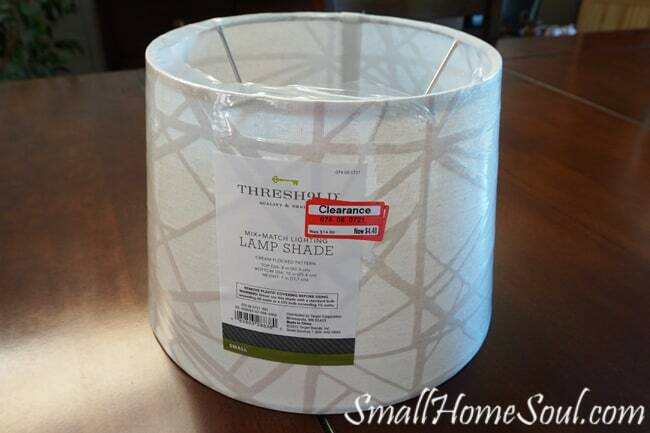 I didn’t find anything I liked on the regular lamp shade isle so I headed to my next favorite spots, the end cap Clearance sections. There I found a stack of these shades on clearance for $4.48, a savings of $10. I made sure to get a shade that was in great shape and headed to the checkout. 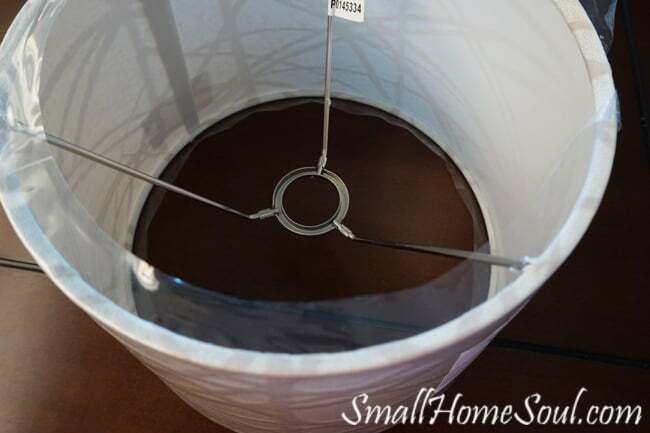 This shade has the bars that allow you to fit the shade around the bulb base versus needing a harp or the old kind that clipped to the light bulbs. My daughter tried to lay claim to my new swing arm lamp but I knew exactly where I wanted to use it. I have this beautiful dresser in our entryway that was given to me by a friend many years ago when I was in need of a bigger dresser. It was covered with ugly paint that someone tried to finish like wood grain, they were unsuccessful. A few years later we were moving across country and before I sold it at a garage sale I needed to find out what was underneath so I stripped one of the drawers. To my delight I found this beauty. I’m not a wood grain expert but I’m pretty sure this is solid walnut with dovetail drawers and all. It’s not in the best shape and it needs some updated pulls but I love it. A few years later after we moved back to California our neighbor had a yard sale and I found a skeleton key that fit and works to lock the drawers. So back to my thrifted swing arm lamp score. 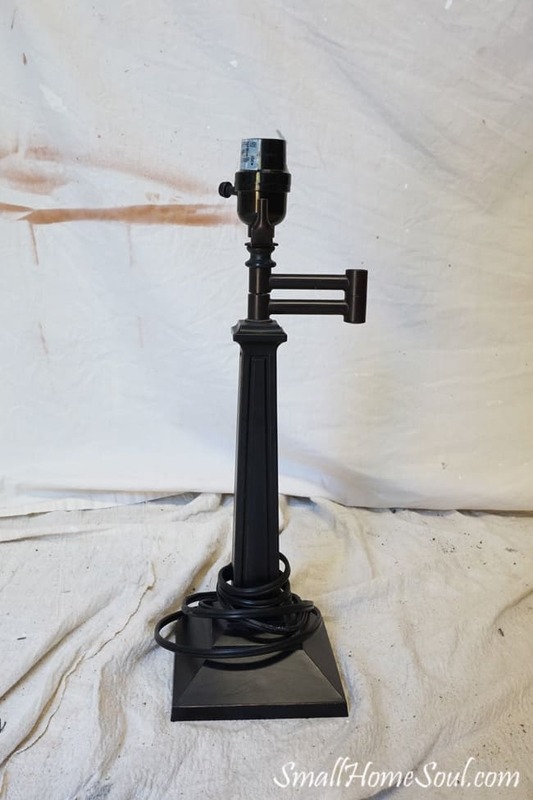 Like I said, buying and selling stuff on the FB Treasure sites is addicting but I’ve made some great scores such as a slightly used Breville Juicer for $50, an end table for $10, as well as many free items. I’ve sold our old coffee table, corner shelves, shoes, decor items, you name it and the goal is to sell more than I buy (which my husband prefers) but I’m always keeping my eye opened for stuff I need to buy to save money where I can. In addition to helping my daughter get a nice condo rental at a great price she purchased a beautiful Broyhill coffee table and I picked her up a free Flexsteel side chair. She sold some of her dining chairs and an old jewelry armoire. 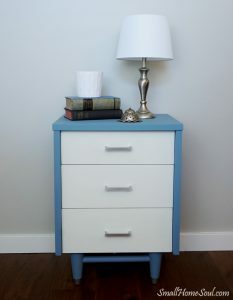 I just finished painting two night stands that I got for her for $8; I’ll be sharing with you all very soon. If you’re a “thrifty” person and didn’t already know about the Treasure groups I hope you score some of your own deals very soon! P.S. Head over to this Hacked Ikea Nightstand post to see where this beautiful thrifted lamp ended up. Thanks Susie, I love a great deal and these two separate deals was a big score in my book!